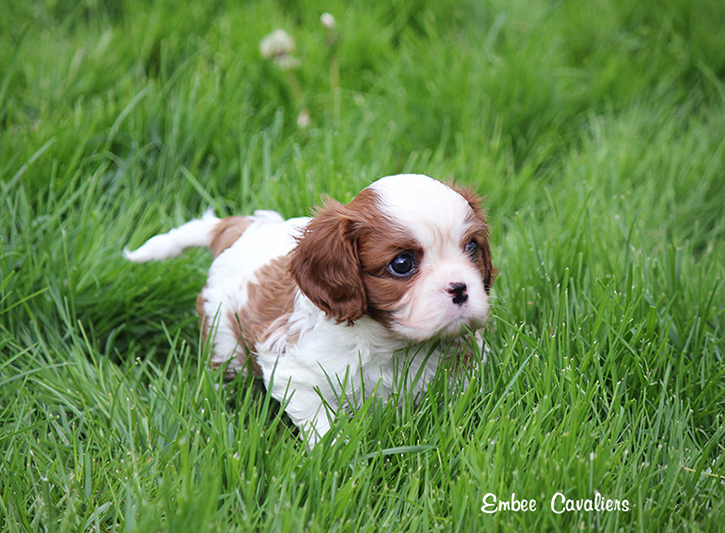 This is version 2.0 of our popular post written in 2011 on how to buy a Cavalier King Charles Spaniel Puppy from a breeder. It’s mostly the same post with a few things changed and revised. 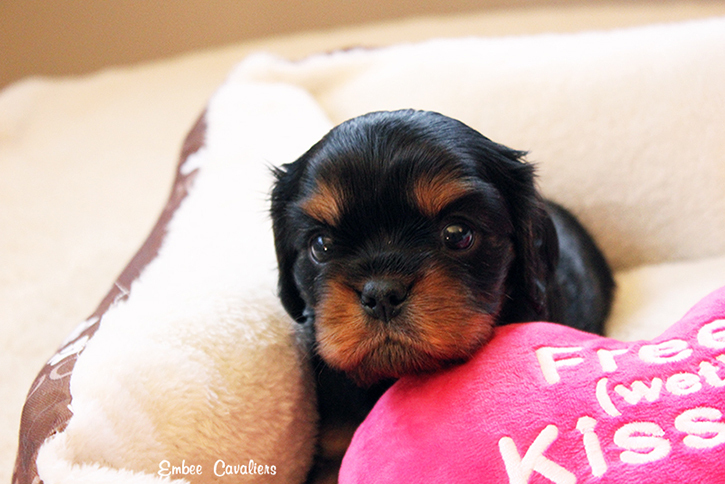 An advertisement on your local online classifieds for Cavalier King Charles Spaniel puppies for sale. “First shots, dewormed, vet checked.” The ad pictures a beautiful puppy in a cute flower pot (insert whatever fake scene) and a couple of adults are pictured pictured snoozing on a sofa. You decide to visit the breeder and the puppies. When you arrive, you have a meeting with a friendly breeder who seems very professional and well spoken. You are able to meet the puppies but are unable to meet any other dogs and the puppies clearly aren’t living in this part of the home. There isn’t a dog bed in sight and finding a dog hair on anything would be a challenge. The puppies are friendly but maybe a bit cautious. The breeder talks about never having any health problems in their dogs and has a 5 year health guarantee, but when you ask to see and have copies of the clearances you run into excuse after excuse. The fact that a breeder registers their puppies (or not) with the Canadian Kennel Club and that they have had vaccines and vet checked, does NOT automatically mean that they are coming from a responsible breeder. The following example above could be a backyard breeder or worse a front for a puppy mill. Millers have become very smart and send their puppies to be sold by brokers. The broker takes cute pictures, posts them online and sells to the first buyer that comes along. Needless to say this type of breeder is probably not where you want your puppy to come from. Are you an active member of your regional and national breed club? What are you currently feeding your dogs? How long have you been active in the breed? These type of questions can have a wide range of answers. The goal isn’t so much answer itself (within reason) but to start developing a relationship and trust with the breeder. The more responsible the breeder, the harder you are going to have to work to develop a relationship and trust with them. We want to know that our puppy is going to the very best home possible where it will be well looked after, loved, and cared for properly. You’ll also want to ask a lot of questions about breed health and current health clearances on the sire and dam. 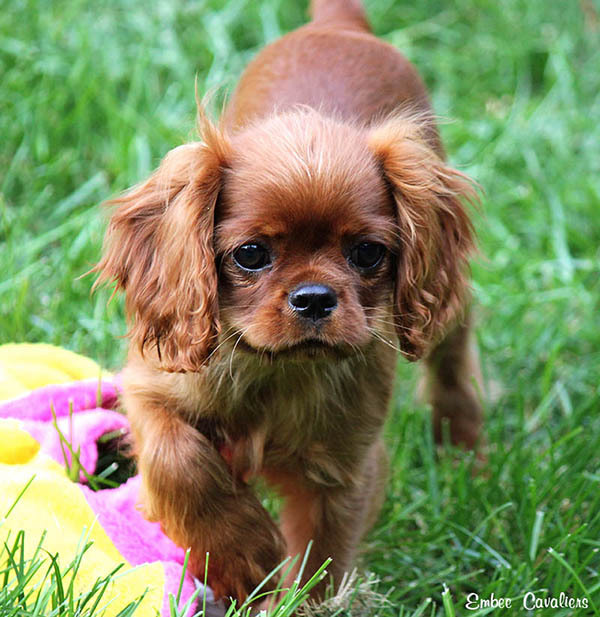 Cavaliers can be a healthy breed but they can also face a lot of health problems. Responsible breeders are doing their best to combat these problems but we aren’t able to control everything. Health problems can and do happen and any breeder who tells you otherwise is lying. 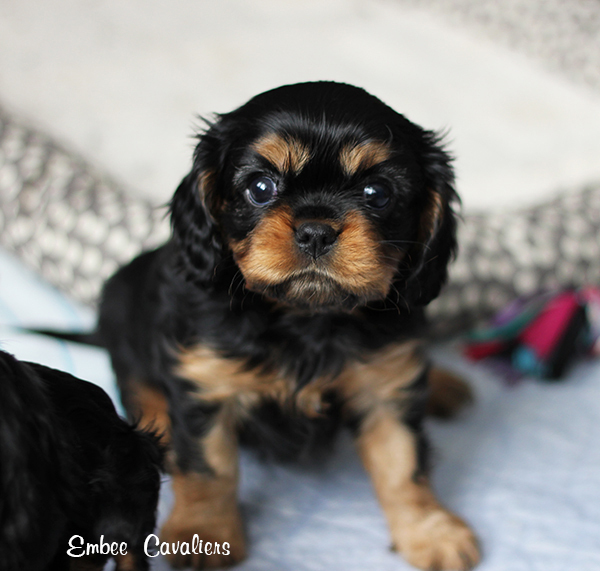 Ensuring your puppy comes from healthy parents is the first step to owning happy and healthy Cavalier. If the breeder cannot provide the following, look elsewhere! Yes, finding a well raised puppy from a responsible breeder can be time consuming and a long wait but it is completely worth it. I’d also highly suggest reading and following THIS article for a greater understanding. Be sure to check the Cavalier King Charles Spaniel Club of Canada’s breeder directory and also contact the regional club in your area. For Southern Ontario that is the Cavalier Fanciers of Southern Ontario. Purchasers of cavalier cavalier puppies are just as (if not) more responsible for this breeds welfare as those breeding them. If you are NOT purchasing Cavaliers from responsible breeders, you are not doing your part to protect and help this breed. 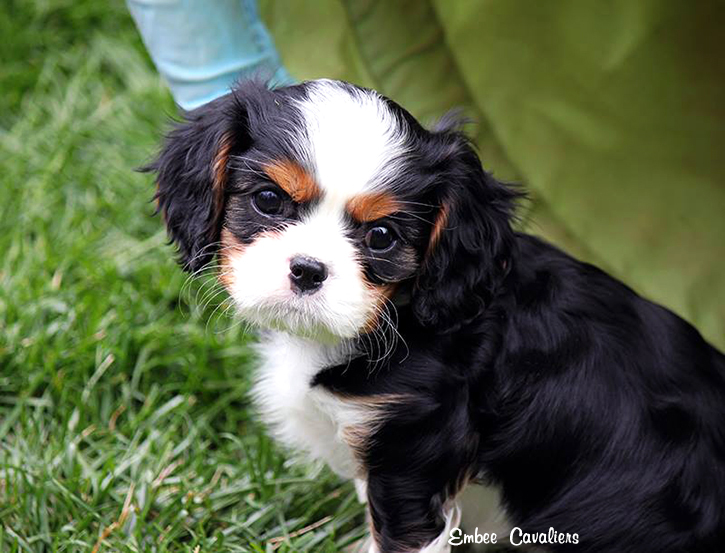 I am a looking for a Cavaliere pup from a responsible breeder. I have never owned a Cavaliere but have had several spaniel and spaniel cross dogs. We lost our spaniel cross to cancer in January and I have missed him every day since. Currently we are providing doggie daycare to my daugher’s pup, who is now 8 months. I have always been drawn to the Cavaliere and am now in a position to own one. Someone is home daily. In future I would like to train my Cavaliere for service work. Do you provide testing of your pups? Do you house your pups in your home? What do you require for a deposit? Full payment? 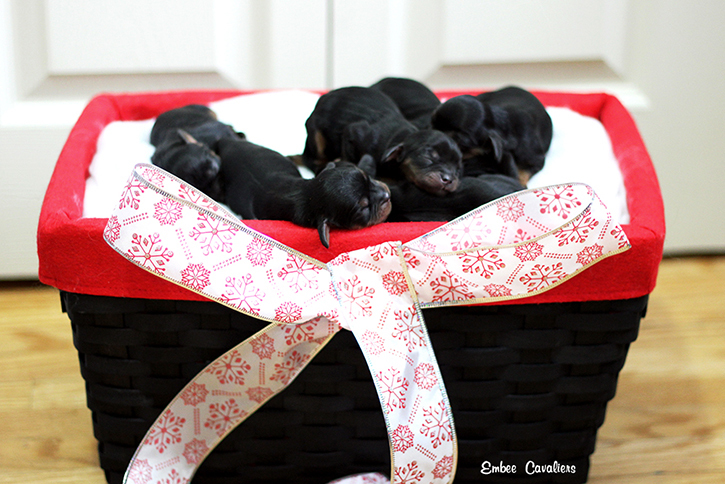 When is your next litter ready?